Symbols are much more than mere pictorial representations of simple ideas; symbols are open doorways of meaning into the collective unconscious of humanity. By simply glancing upon a symbol research has shown that both human behavior and thought can be influenced. No wonder corporations spend millions of dollars on Super Bowl ads, subliminal messaging, and associating their brand with specific concepts and emotions. As we look around modern society we are inundated with more symbols than ever in our history as a species. What does this do to society? What does this do to the individual? I absolutely love learning about the meaning of symbols and myths. Despite there always being so much more to learn, my efforts for the last six years in the field of Religious Studies has only further fueled my passion for symbolism. Learning about mythologies and symbols has empowered and enhanced my life in many different ways. The ability to walk around a college campus or city square and recognize statues, architecture, and motifs imbues the places I visit with a deeper layer of meaning. How often are we blind to the symbols around us? Obviously to the masons who build these symbolic state houses, federal buildings, and national monuments symbols and myths are very important. However, it is not just the ability to know what things mean that has positively impacted my life. Though I am not personally religious, my studies have allowed me to better connect, understand, and relate with people from cultures very different than my own. By studying comparative religion and mythology a person can begin to see how many similarities the great religious traditions have, how alike we are as people, and how truly relative our cultures are. “... because it tells us that so far as the collective unconscious contents are concerned we are dealing with archaic or—I would say—primordial types, that is, with universal images that have existed since the remotest times. The term “représentations collectives,” used by Lévy-Bruhl to denote the symbolic figures in the primitive view of the world, could easily be applied to unconscious contents as well, since it means practically the same thing. Primitive tribal lore is concerned with archetypes that have been modified in a special way. They are no longer contents of the unconscious, but have already been changed into conscious formulae taught according to tradition, generally in the form of esoteric teaching. This last is a typical means of expression for the transmission of collective contents originally derived from the unconscious." Symbols then have allowed me to recognize the contents of my own psyche. Not metaphorically but literally, myths and symbols have allowed me to become more conscious about my own internal conflicts, archetypal structures, and relationship dynamics with other people. This is why in my opinion, the recognition of symbols and myths are so important in today's world. We are bombarded with so many symbols and the majority of people don't have the passion or time to study these topics. Just as a baker bakes or a painter paints, I feel it is my sense my duty or purpose to explain the meaning and cross cultural connections of symbols and myths. Though I have been academically studying World Religions for the last six years of my life (receiving my BA and MA in Religious Studies), along with another five years for my doctorate program, I feel like my professional journey is just starting. The way I view my studies then are not just an academic endeavor, but a practical one. I don't want to write obscure scholastic books, but rather create content that anyone no matter their background can find useful. 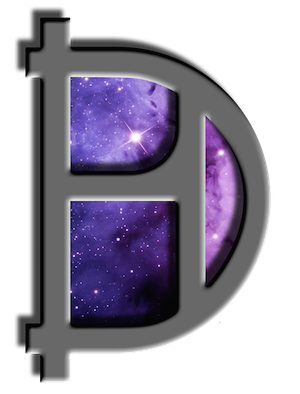 Anyway, if you would like to check out my symbol of the day follow me on Instagram @dpharry. Thank you for taking the time to read my blog and I hope you have a wonderful day.